Every one of us has experienced the awkward times of sitting through a boring preacher, a monotone teacher, and/or a pasty looking person leading a ministry with about as much life in him as a bowling ball. Yes, God’s Word is always relevant no matter how it is presented. But that doesn’t mean it has to always feel like eating rice cakes and brussel sprouts. The Word of God ought to be presented in the life and power of the Holy Spirit and with a great deal of flavor! Ministry done with some attention to the ministered will have a winsome and gracious tone about it that is attractive. This is where we could take a lesson or two from the world of actors. 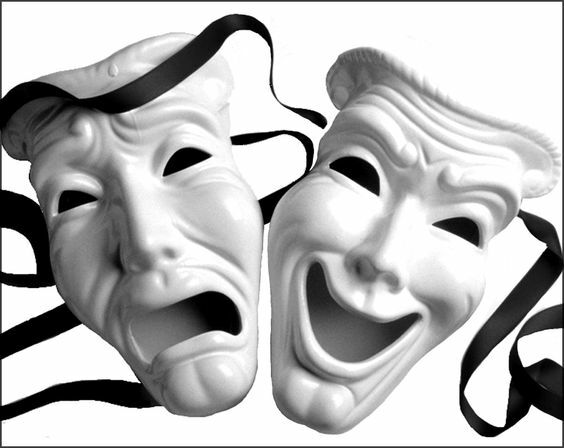 The ability to connect well with an audience; showing emotion and empathy; and, exhibiting confidence are just a few ways where church leaders and ministers can take the sacred Scripture text and communicate it with all the gusto of an actor – to be a kind of theological thespian who is concerned not just to know the Bible, but to communicate it in a riveting manner that displays all of its timeless message. For the Word of God is really a divine drama, an unfolding production of redemption. And we are to be the divine dramatists who proclaim the creation, fall, redemption, and new creation of God’s tremendous work in the world. We are, therefore, to be mindful and present both to the text of Scripture and the congregation who we serve. The ability to connect authentically with the thoughts and feelings of others in order to demonstrate a resonance with God’s Word and Christ’s ways needs to be established so that parishioners can walk away taught and inspired toward a more biblical path to live their daily lives. But sometimes fear can get in the way, keeping us from being confident in what we are doing – fear of failure; fear of what others might think; fear of being hurt emotionally; fear of not being good enough. Yet, if we focus more on our identity and security in Christ and less on our abilities or lack thereof, then we can step boldly into ministry to others using various means at our disposal to express ourselves dynamically as we present God’s Word. Maybe this all sounds a bit contrived. But consider the Old Testament prophets. They were filled with pathos. They did anything but simply say God’s message – they proclaimed with incredible passion and sometimes even with arresting object lessons and shocking word pictures. Whether it was Ezekiel lying on his side for 390 days to symbolize the upcoming siege of Jerusalem (Ezekiel 4); Jeremiah putting a linen belt around his waist to communicate the worthless pride of the people (Jeremiah 13:1-11); or, Elijah on Mount Carmel taking on the prophets of Baal with physical altars and speeches of sarcasm (1 Kings 18:16-39); God’s messengers have always communicated their given message with the same tools used by actors in order to bring that vital Word to people in the power and pathos of the Holy Spirit so that it is believed and obeyed. There are a few simple ways we can develop this ability to communicate a bit further. If you have children or grandchildren, read to them. Take on a unique voice for each character. Read the story with emotion and enthusiasm – even if it does not feel natural to you. Picture immersing yourself in the characters of the book as if you were them, and let the words flow through that grid. If there are no kids around your house, volunteer to read in a church Sunday School class, or even at the local elementary school (which, I guarantee, are always on the lookout for those who will come to a class and read). Another way, similar to reading to kids, is to begin always reading Scripture aloud with the same attention to character, voice, and situation. Read a particular text over several times in different translations, playing with different tones of voice and various emphases on words. After a few weeks of doing this, it will begin to become part of you. Other suggestions are: taking an improvisation class; reading a biography or, better, an autobiography of a favorite actor; and/or actually re-creating some of the object lessons in the prophetic books of the Bible for your ministry. Whatever it is you choose to do, be intentional about the development of connecting the biblical text to people. It is an endeavor you will be glad you invested in, with eternal results.